Today is the International Day of Persons with Disabilities. This year’s theme is “Empowering persons with disabilities and ensuring inclusiveness and equality”. There is still work to be done: persons with disabilities, including persons with psychosocial disabilities face barriers in many areas of life, which impacts their lives, their autonomy and their choices. 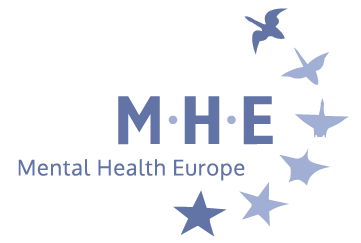 MHE takes this opportunity to call for an ambitious and adequately funded European Disability Strategy (EDS) post 2020 that takes into account all the needs of and barriers faced by persons with psychosocial disabilities, in particular actions promoting autonomy and the right to make their own choices in all areas of life. We hope that the future EDS post 2020 will help make Europe more inclusive and equal for all including those with less visible disabilities such as psychosocial disabilities.